Chris Niedermayer leads a Customer Relationship and Performance Management organization in the Office of the Chief Information Officer. The organization facilitates fulfillment of business needs and assists customers meet agency investment and program planning, security, architecture, and operational criterion for their initiatives. The organization also leads the development of service level measures and metrics and a performance tracking capability. Mr. Niedermayer leads OCIO’s support for HUD’s transformation initiatives and he serves as Vice President at Large on the Board of the American Council for Technology. Mr. Niedermayer led the Program Management Group and the Office of Information Management Services at the US Patent and Trademark Office from February 2008 through December 2009. He established advanced program and project management capability, led the development and implementation of a new solutions development life cycle, and developed enterprise policies and tools to consolidate critical project artifacts and make project status information transparent to all stakeholders. He also led internal and external sharing of patent and trademark data, the management and oversight of the agency’s records, data, and configuration management functions, and delivery of desk top services and collaboration systems. 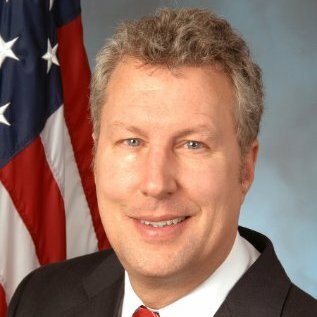 Mr. Niedermayer served as Associate Chief Information Officer, Chief Technology Officer and E-Government Executive at the U.S. Department of Agriculture from November 2001 to February 2008. As USDA’s Chief Technology Officer, he integrated USDA’s IT governance processes, including enterprise architecture, capital planning and investment control and IT acquisition approvals. He was USDA’s principal Executive for managing the implementation of the President’s E-Government initiatives and USDA’s cross-agency business transformation initiatives. He was responsible for administering USDA’s geospatial programs, information technology workforce planning, information collection, information management, and records management programs. He chaired the government-wide E-Authentication Executive Steering Committee from 2004 to 2007 and the HSPD-12 Executive Steering Committee in 2005-2006. Chris served as an Industry Advisory Council government Vice Chair for the Partner’s Program in 2003 and the government Chair in 2004. He was elected as Vice President of the Association for Federal Information Resources Management for the 2006/2007 term and President of the Association for the 2007/2008 term. Mr. Niedermayer previously worked for USDA’s Farm Service Agency where he managed USDA’s nationwide disaster assistance programs; coordinated interagency service delivery; and developed information technology requirements to support strategic mission goals and objectives. In the early 1990s, Mr. Niedermayer served as Senior Information Resources Management Official and “Trail Boss” for the agency where he was responsible for leading the agency-wide business modernization program. In this capacity, he led major information technology and telecommunications engineering functions, IRM planning, and managed the agency’s IRM budget. He managed the Agency’s price support loan and purchase programs in the mid 1980s, leading a nation-wide process reengineering effort and the development of new program policies, procedures and software used to administer the programs by over 3,000 field offices. Before coming to FSA, he worked for the Federal Grain Inspection Service in Galveston, Peoria, Chicago, and Washington, D.C. His college study was in the field of business administration and information management. He is a native of Cedar Rapids, Iowa and currently resides in Alexandria, Virginia with his wife, Jacquelyn. « DorobekINSIDER: What was the story that defined government in 2011?